This week’s featured application comes to us from Keith Thykeson with Pioneer Synthetic Turf in Thousand Oaks, California. 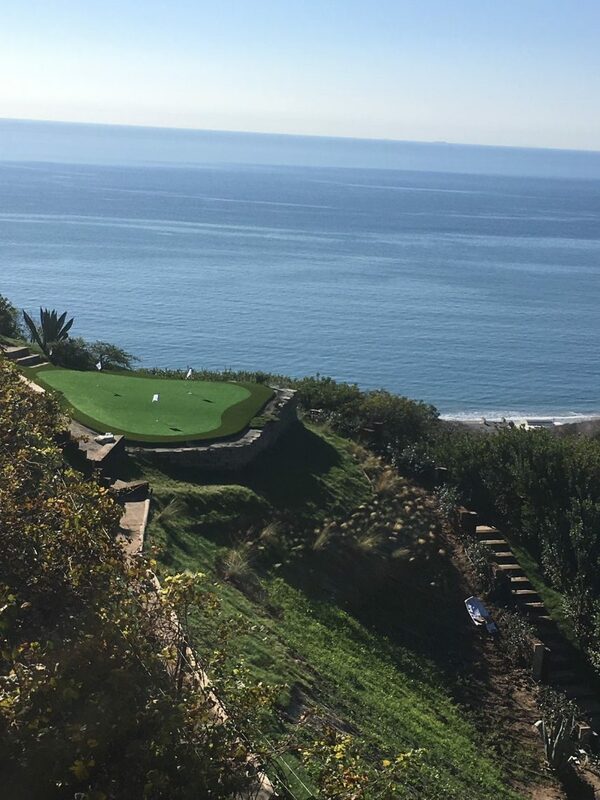 Keith and his team installed two putting greens in Malibu, California with stunning views of the Pacific Ocean. The customer was looking to have a few different teeing areas installed to provide multiple angles into the greens. 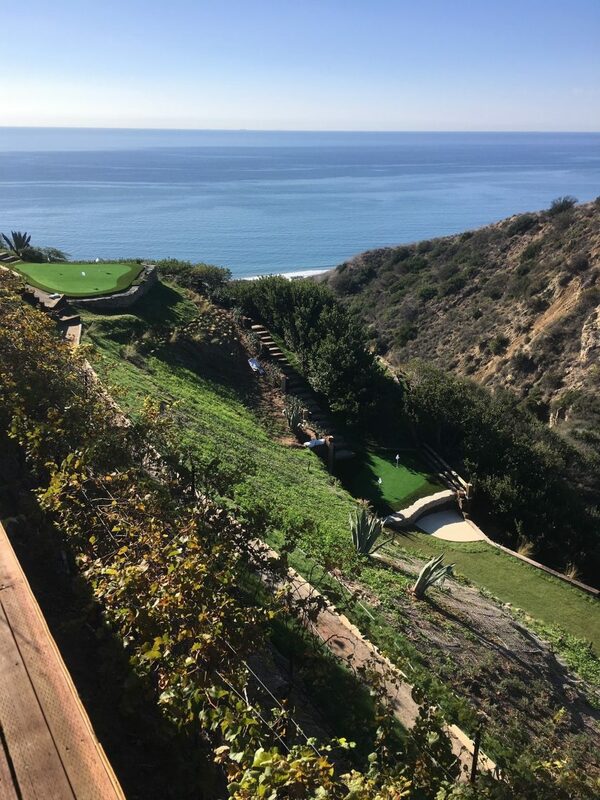 The top green, with breathtaking views of the Pacific Ocean, is about 450 square feet in size with three holes. The longest shot is into that green is about 65 yards. The lower green is about 300 square feet. The longest shot into this green is about 60 yards. Each of the putting greens utilizes STI’s Par Three Pro for the putting surface. Par Three Pro can receive shots from 100 yards or more due to the amount of infill it can take. Keith and his team wrapped the putting greens with SoftLawn® Annual Rye for the fringe. The tee boxes are constructed of SoftLawn® Elite and SoftLawn® Select. We are apt to agree.